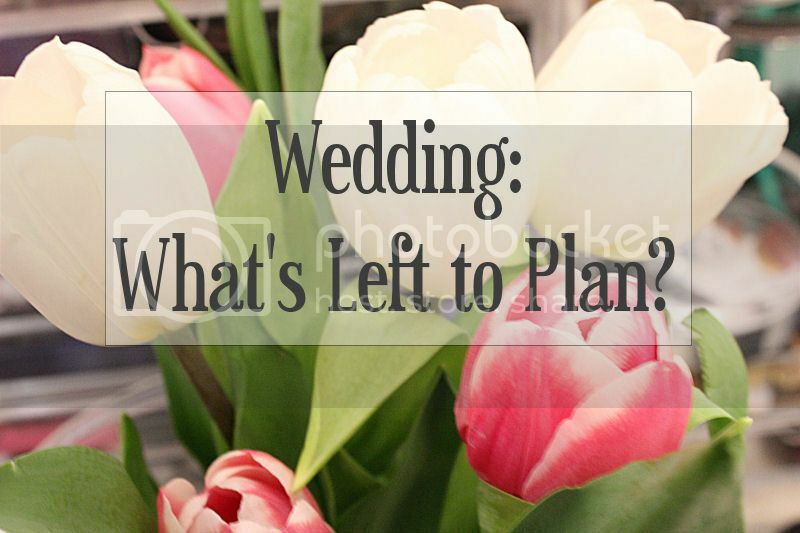 Wedding: 4 Months to Go – What is Left to Plan? Although there are still a number of things on our to do list they are items we have already started looking into and need to finalise or are the finer details so we have plenty of time to sort out. It feels good to have made so much progress and to have most of the big items ticked off our list so now we can do the other bits and pieces more spread out over the next few months. If you would like blog posts on any of the items above (or any others) leave a comment below and let me know. What did you think of today’s post? Do you have any wedding advice? We are 11 days away and have all pretty much set. Confirmed with all but one vendor. Need to give venue counts this Friday, next Wednesday is rehearsal and need to give final numbers plus balance.. Having my bachelorette next Friday so I could have all my ladies here.. All is pretty much set. Still need to confirm hotel reservations for before wedding day and for honeymoon.. I'll start packing tonight' ahh!